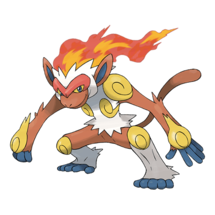 Pokémon GO Chimchar is a Fire type Pokémon, which evolves into Monferno and then into Infernape. As a minimum it will likely require 25 candy for its first evolution and then 100 candy for its second evolution, in line with almost all other 3 stage evolutions. 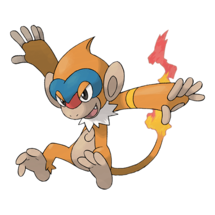 Chimchar has a MAX CP of 815, with an ATK of 113, DEF of 86 and STA of 88, meaning it is not a meta-relevant Pokémon, but rather a collectible with the potential for evolving later. With Chimchar being a ‘starter’ Pokémon however, it may be quite rare, so it would be advisable to use Pinap berries on each one you encounter to help you reach the 124 candies you’ll need to fully evolve it. Chimchar’s expected Buddy distance is 3km in line with all other starter Pokémon, however, there will likely be rarer and more meta-relevant Pokémon whose candy will be much more valuable, so be sure to weigh this up before choosing your Buddy. It is reasonable to expect that Chimchar will be hatchable from 5km eggs, just like all other starters. The maximum CP for a hatched Chimchar will be 465. 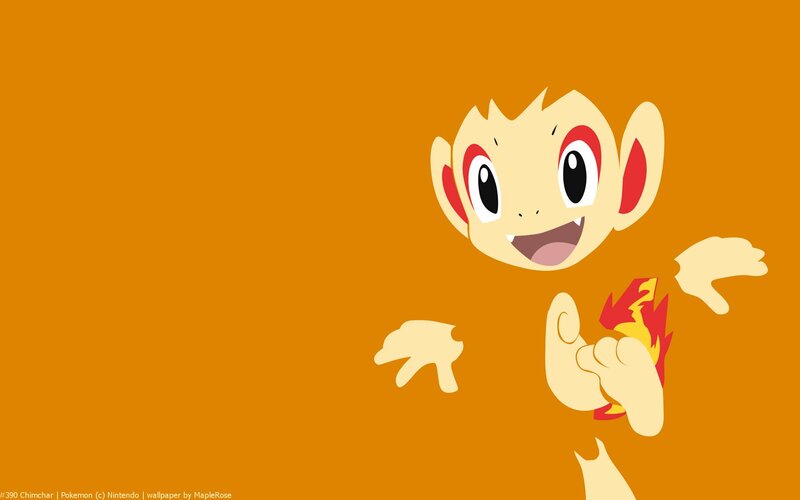 As a Fire type, Chimchar can receive a weather boost from Sunny weather. Any Chimchar with a CP of 699 or over will have been boosted beyond level 30 by the weather and has a maximum capture CP of 757 when boosted. Chimchar could well be a Raid Boss at some point in the future. All of the Gen 1 starters have been Tier 1 Raid Bosses, so it is quite possible that all starters will eventually get their turn in the Raid spotlight. The maximum Raid capture CP for Chimchar (if it does become a raid boss) would be 465, or 582 if weather boosted. 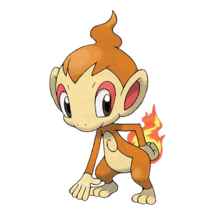 Shiny Chimchar is noticeably different in colour to normal; its fur is pink instead of the standard orange. Its fiery rear end is fueled by gas made in its belly. Even rain can’t extinguish the fire. The gas made in its belly burns from its rear end. The fire burns weakly when it feels sick. Before going to sleep, it extinguishes the flame on its tail to prevent fires.